You’d need a pretty extensive colour wheel to capture the full spectrum of South America. The continent tends to manifest its passion and bravado in visible ways. There’s that flash of Quechua pink and purple in Peru, a swirl of Argentine crimson or the eye-popping glitter of Rio’s Carnival. And it’s not just the people – running down the spine-like ridge of the Andes you’ve got natural diversity of every shade and hue, from volcanic greys on the Galapagos Islands and the green shadows of the Amazon basin to arctic blues and whites on the glacier fields of Patagonia. So to celebrate all things vivid, vivacious and vibrant, here’s our attempt at a South American colour wheel (the abridged version). The Peruvian highlands are a sweeping background of dull greens and browns, but every now and then you’ll see a splash of pink against the slopes. 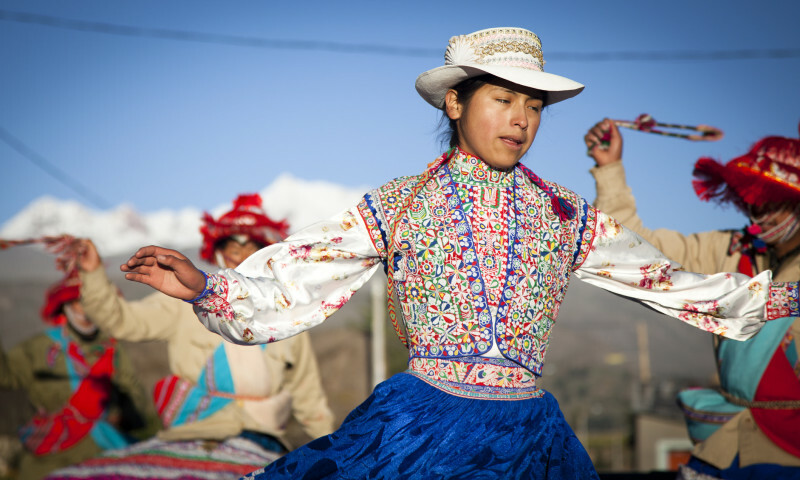 These are the traditional costumes of the native Quechua people, a technicolour mix of pre-Spanish styles and colonial peasant dress. 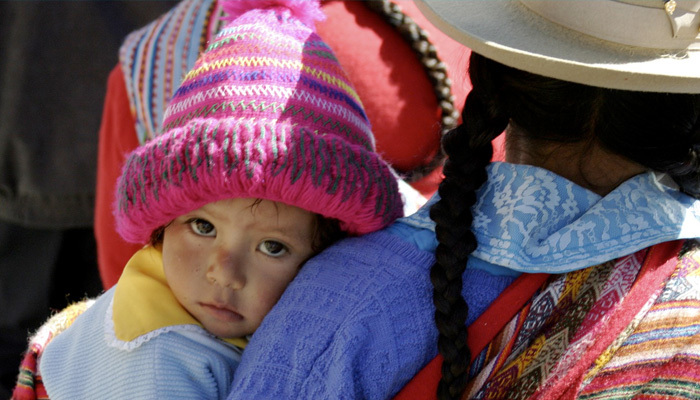 Andean locals wear brightly coloured layers, like the polleras (pink skirts woven from bayeta cloth),monteras hats and woollen jackets called juyuna. Yellows, reds and purples are sprinkled in depending on a particular valley or tribe, but that classic lurid pink is a shade that crops up again and again. It’s made from the shapy vine from the mountains beyond Accha Alta. 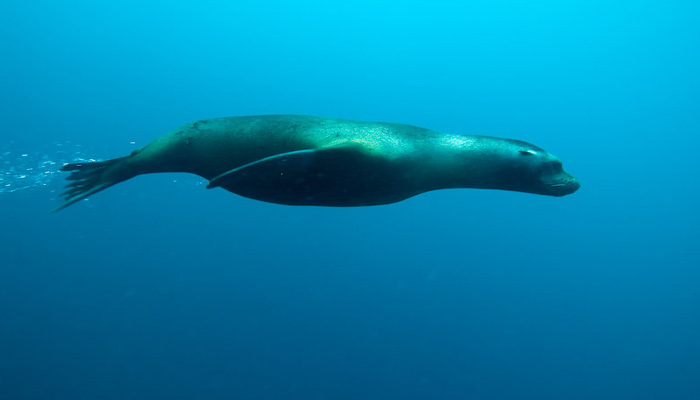 Sitting off the coast of mainland Ecuador, the Galapagos Islands belong to the Pacific more than the continent. They’re not really the tropical paradise many travellers envisage. The islands themselves are volcanic and often barren, with a few saltwater mangroves, prickly pear and native hardwoods clinging to the dark soil. But it’s that deep Pacific blue that really stands out. Watching iguanas dive in the waters off San Cristobal or waved Albatross swoop low over the waves near Espanola, you can get a feel for just how isolated these islands are. The first plant seeds had to travel over 900km just to get here, probably on driftwood, landing on black, inhospitable soil. When clouds hit the eastern slopes of the Andes, their rainwater funnels down, through jungle-covered slopes and rocky alpine streams, into Brazil’s mighty Amazon basin. 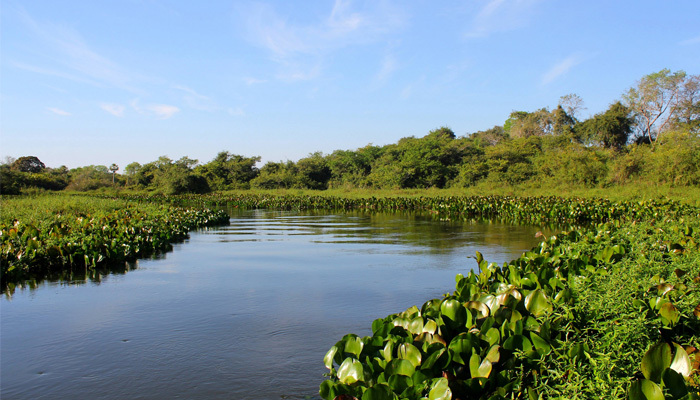 It means that a huge slice of the country is covered in rainforest – deep, mist-covered, shadowy Amazonian rainforest. On first glance, the Amazon is simply green. But as you travel along it, you notice the subtleties. There are the bright jungle shades of bromeliads, dark forest greens in the undergrowth, and that saturated lime colour that glows as the sun catches leaves in the canopy. Chile’s Atacama Desert is the driest non-polar desert in the world. The landscape is an otherworldly mix of volcanic saline lakes, empty saltpans and pink flamingos balancing in the shimmering haze. The corrugated hills that rise from the dunes have a fantastic red-rust colour – probably due to the high volume of quartz and copper in the soil (a fact that’s said to give the locals a constant supply of positive energy). 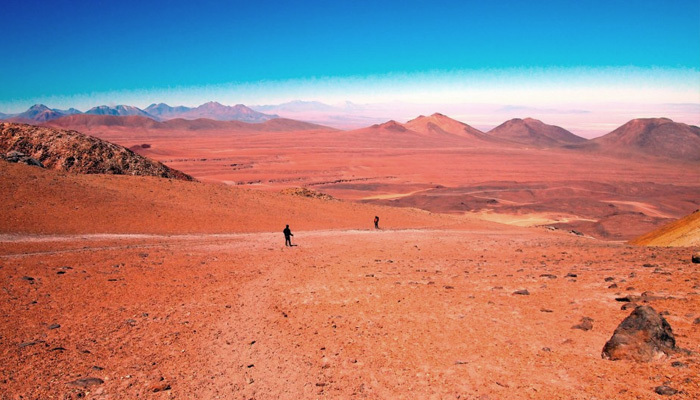 When the light hits the hills at sunrise or sunset, they glow red hot, and you begin to understand why NASA uses the Atacama to test instruments for missions to Mars. In fact it’s the only place on earth where scientists have found soil with absolutely zero signs of life. Picking one colour to represent Argentina seems a little unfair. There are the swirling reds of amilongas (tango club) in Buenos Aires, or that stormy granite grey you get on the cliffs in Patagonia. 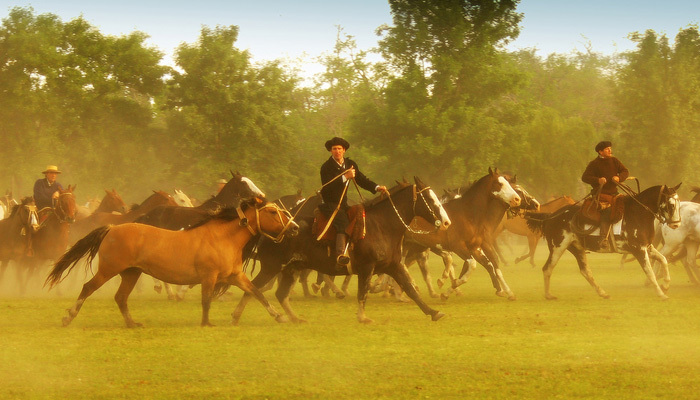 But when we think of Argentina, it’s the gold of the Pampas that sticks in our minds. From the highlands of Peru to the wilds of Argentine Patagonia, Peregrine has a colourful Latin adventure to suit you. Check out our trips for more information.